I’ve noticed that, whenever I post anything about hair removal, I get a ton of questions! It makes me happy and a little intimidated at the same time because the truth is: I’m far from the right person to consult on the topic! So why even write this article, you might ask? Well, this is the point. If you have any of my concerns or obstacles, you will probably relate. First of all: I’ve got medium dark skin and dark(er) but still fine hair. My body-hair grows rapidly and with living in an “all-year-around-sunny-climate” it means a constant battle with the blade. Sometimes it feels like I don’t do anything other than shaving my legs. Secondly: I’m super sensitive to superficial pain. For some reason I can undergo surgery and handle the pain perfectly, but I don’t respond well to plucking my eyebrows or (the horror) upper lip! I have a very sensitive nervous system which makes my pain threshold ridiculously low. The thought of waxing scares the living sh*t out of me. Finally; with my colouring I’m not the best candidate for hair laser removal to begin with. The more melanin (pigment) you’ve got, the higher the risk of burning the skin and hair follicle. When we bought the Tria 4X Hair laser removal machine last year, it was mainly for my husband to use. His skin is lighter and hair darker, thus making him the perfect candidate. 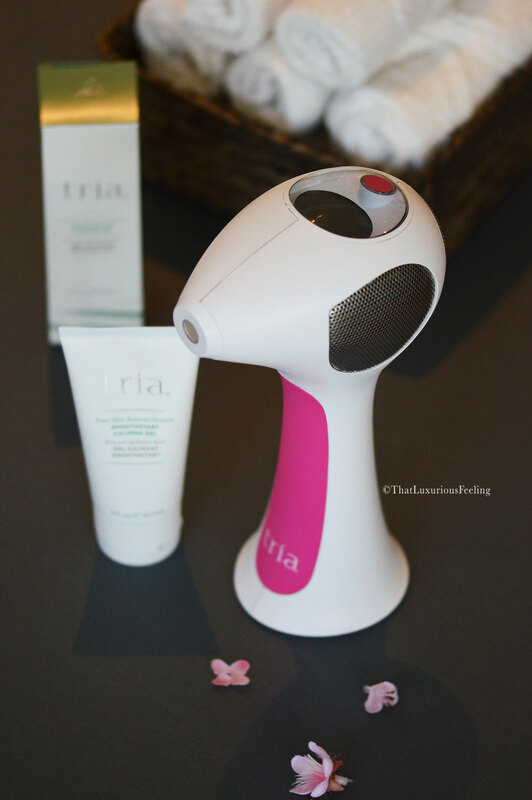 A short introduction to the Tria 4X: this is the first hair laser removal machine on the market that is actually FDA approved. There are many other machines out there, but I would personally only recommend this one. When undergoing laser treatment at your Dermatologist, you usually need about 4 sessions every 6 weeks to efficiently remove and stop re-growth. Although Tria 4X uses the same laser as you’ll get in the salon or clinic, it is still not as sharp (you shall use it every 14 days over 2 months to see results). People often tend to confuse laser treatment with IPL (Intense Pulse light). While IPL uses different wavelengths and shades, the Tria 4X only uses a single spectrum of light to target the hair follicle in order to gain “permanent” hair removal. I say it like this, because there will always be resting follicles in different depths of your skin that might start to activate. No laser treatment will give you a 100% lifelong hair removal. Still, both at home treatment of (more expensive) professional treatments have this in common: they are not suitable for all parts of the body and they are not safe if you have a darker skintone. If you visit the Tria website, there is a test for you to take to see if your are eligible for treatment. This is good! I have visited stores that, sadly, claim the device to be safe for everyone and everywhere. This is simply untrue. Please do your research in order to avoid any damages! However, if you decide to invest in the Tria 4X it’s good to know about its core features: first of all, there is a sensor in the bottom of the machine. You need to scan the part of your body that you wish to treat and the machine simply won’t unlock if it detects white hair, grey hair, red hair, medium or dark skin! The display on the top is very easy to follow and let you adjust the intensity level. If you aim and press the button and the laser tip is not perfectly aligned with the targeted skin, it won’t shoot. I love that the device comes with these built-in precautionary steps. My husband immediately saw results and started off on intensity level 2 but easily went up to a full 4 without feeling any pain. He could detect a small, quick discomfort where skin was thin but that’s all. No irritation or redness pre-treatment. For me, I decided to try it on my legs and I won’t lie to you: I could only master intensity 2 and yes, I thought it hurt! We knew this would probably happen with my sensitivity, but I felt embarrassed not to be able to cope. The device is kind of pricey and I felt compelled to continue my treatments. Safe to say, I needed a coping mechanism and I found it – courtesy of the same company! Let me introduce my secret ‘weapon”: Tria Smoothstart Calming Gel. This cream is meant to be applied after you’ve shaved and dried off your skin. No rinse off but I suggest you give it a good 15 minutes to work its magic. Infused with the glorious Indian plant extract of Boerhavia Diffusa the cream promise you to reduce any inflammation, calm redness and irritation while adding antioxidants to protect your skin. 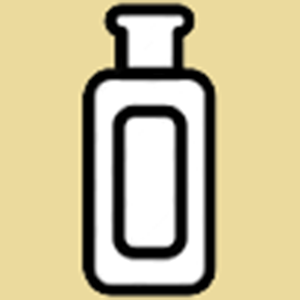 It shall maximize the the effect of each treatment while at the same time prevent you from experience any tingling, warm (hurting) sensation. At first, I was a bit sceptical of this cream and wanted to use a numbing cream like EMLA, but the fact is that Boerhavia Diffusa is well known and recommended for its calming effect on skin. When even the (always) so pessimistic Paula’s Choice site rates it as ‘BEST’ you kind of have to give it a try. The cream also contains both AHA and BHA to prevent any pores or follicles to clog. I have used it in the corner of my upper lips as well, before grabbing the tweezers! Score. I’m thankful that I decided to toughen up and try the calming gel because with a little help from this cream, I don’t experience the treatment as hurtful anymore. I can still detect the sting and it is most probably because my skintone is borderline-too-dark; hence it has nothing do to with the device itself! While I still need to plan my treatments better to achieve the promised results, I can’t claim it to work perfectly for me. I haven’t used it the way it is supposed to be used. I can definitely see some early results and feel hopeful that I will be able to reduce my hair-growth to an acceptable amount over time. I am so glad I am not the only one! … Thank the lord. As you know I have this and I too (hands up) did not stick to the timings as it is supposed to be used hence I never got around to posting my final results as I felt I wasn’t doing it the justice it deserved – hence a write up is still in the offerings! Again we are two peas …. La Mer The Moisturizing Soft Lotion – the ingredients!